Kew Media inks a three-year distribution deal with Channel 5 for a trio of scripted properties, Blue Ant to air BBC Studios' wildlife series Dynasties in simulcast, plus more. Kew Media has inked a three-year deal with Channel 5 that will see the Toronto company handling sales on a number of scripted properties for the U.K. broadcaster. The agreement comes as Channel 5 makes its first major investment in scripted content since it was acquired by Viacom in 2014. Under the deal, Kew will handle sales on the 10-part drama Clink (LA Productions), four-part revenge thriller Cold Call (Chalkboard TV) and an untitled project based on Agatha Christie’s Crooked House (produced with DSP). In other Kew news from the week, the company revealed it has inked a raft of international deals and renewals for the 70th Emmy Awards, which took place on Monday, Sept. 17. Those deals included pan-territory deals with Fox (Asia), Turner International (Latin America), Electronic Media Network (Africa) and OSN (Middle East). Kew also signed deals with Star (India), RAAD Productions (China), Fox (Japan), TV2 (Denmark), SerieClub (France), Turner (Germany), Fox International Channels (Greece), BSKYB (U.K.) and TV4 Play (Sweden), among others. Elevation Pictures has set Oct. 19 for the Canadian theatrical release of Carly Stone’s debut feature, The New Romantic. Produced by Kyle Mann and Michael Risley of L.A. and Vancouver-based Drive, the film tells the story of a college senior who dates an older man in exchange for gifts. 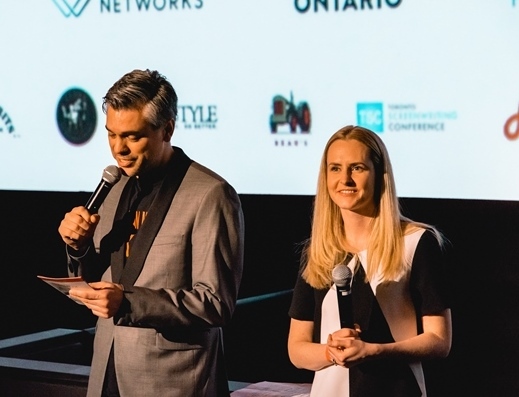 Elevation acquired Canadian distribution rights following its world premiere at SXSW earlier this year. The project was also picked up by New York-headquartered indie distributor The Orchard for U.S. distribution this spring. Elsewhere, Elevation is today (Sept. 21) releasing the feature Assassination Nation (U.S.), which made its world premiere in the Midnight Madness Program at TIFF ’18. Produced by Bron Studios, Foxtail Entertainment and Phantom Four, the film follows the fallout of a data hack in a small town and the impact on its residents. 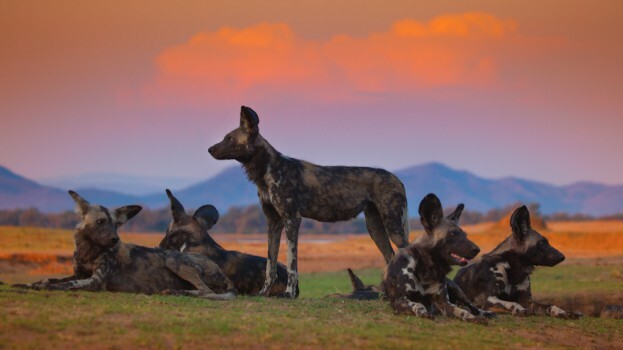 Five-part BBC Studios series Dynasties will make its Canadian broadcast premiere this fall across five of Blue Ant Media’s channels. The Canadian media co will simulcast the debut episode across a number of its properties including BBC Earth, Cottage Life, T+E, Love Nature and HIFI. Blue Ant partnered with BBC Studios in December 2016 to launch BBC Earth in Canada. The project follows five of the world’s most endangered animals as they do whatever it takes to survive and protect the next generation. It is produced by BBC Studios Natural History Unit in partnership with coproduction partners BBC America, France Télévisions and CCTV9. Cineflix Rights, the U.K.-based distribution arm of Cineflix Media, has inked a deal with TV-3 Channel Russia for the worldwide rights to Russian scripted series An Ordinary Woman (8 x 60 minutes). Produced by 1-2-3 Production and Look Film for TV-3 Channel Russia, the series follows a florist who runs a prostitution network. The deal was brokered by Cineflix Media’s SVP, global scripted coproductions, Julien Leroux and Richard Life, Cineflix Rights VP acquisitions. An Ordinary Woman is directed by Boris Khlebnikov, the drama stars Anna Mikhalkova, Aleksandra Bortich, Mariya Andreeva and Aglaya Tarasova. The company plans to launch the show at MIPCOM 2018.